Tikanga Ririki is a parenting model founded on kaupapa Māori that utilises our cultural and social strengths as a people. The model provides a framework for violence-free parenting for Māori whānau. It incorporates goals, beliefs and techniques for parenting. The Tikanga Ririki Strengths-Based Māori Parenting Programme is based on evidence found in Mana Ririki’s research into traditional Māori parenting. Tikanga Ririki is the best programme for providers who work with whānau. The returns from this Investment are significant for the organisation. The programme connects facilitators and clients with their inheritance, their ancestry and their beliefs. The content has come directly from matauranga Māori. Ancient values and the beliefs, when applied to tamariki, are given a practical and modern application. The techniques for dealing with tamariki to guide them also help to guide any relationships. The accredited facilitator, the Kaiwhakamana, will find that the programme may change their lifestyle and their personal relationships. They will find their practical experiences adds substance to their deliveries and clients believe when they, too, find their whānau relationships improving. The organisation will find that many boxes are ticked in their contractual outcomes related to client perserverance, finishing the Course and changes in lifestyle to do with tamariki-parent relationships. The Tikanga Ririki Accredited Facilitator Course is for those who want to become an accredited Tikanga Ririki Kaiwhakamana Ririki (Community Facilitator) with expertise in Māori parenting models and practices. As an Accredited Facilitator you will have the skills to deliver the Tikanga Ririki Strengths-Based Māori Parenting Programme a quality parenting programme to parents. the confidence of the community and your peers. The course will also assist with your Professional Development. Your practical application of the content personally will ensure your students will love this work. Hear what some of the facilitators who have been through our Course have to say about the course their own words. 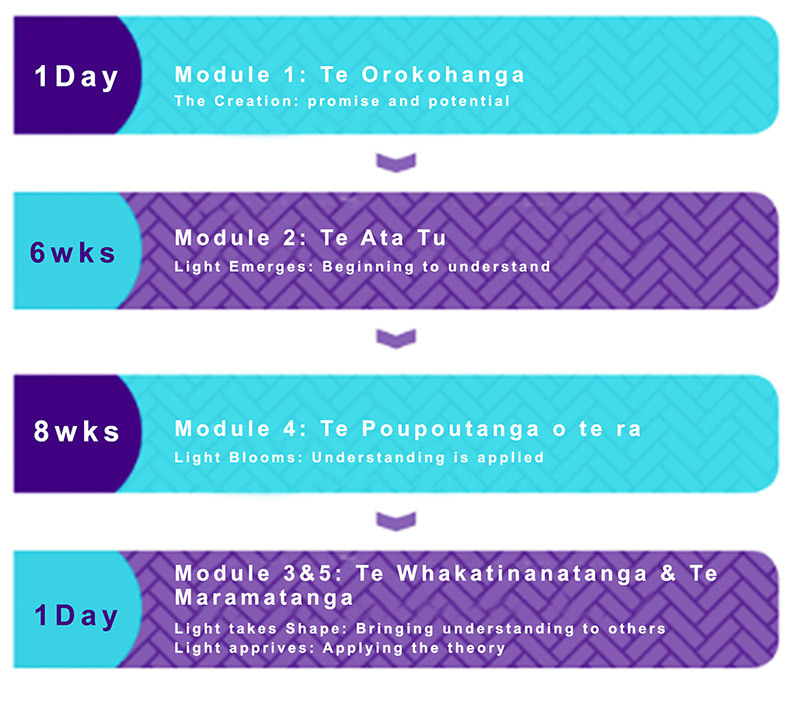 Tikanga Ririki Accredited Facilitator Course is delivered through a fourteen week or cluster training with a mix of two workshops, two practice deliveries working with whānau, five assessments, group and course evaluations, as well as Post-Refresher training with e-based support. The framework time frames have been adjusted to facilitate the new online program. There is an opportunity for the facilitators to re-design what the actual timeframes will look like in real-time upon launch of the online program. While the Facilitators have a Manual from which to deliver each section of the programme to maintain its validity, there is scope for each to find the best way to deliver sections. The course runs for Fourteen weeks including a mix of theory and online assessments, field work and finally accreditation/graduation. Modules 3&5 can be done in 1x day at the end of the program. Reducing on-site hrs to 2x days. Duration of hours working in the field with whanau has been adjusted from 6mths to fourteen weeks. Fourteen weeks of applying program tools with whanau should be sufficient in assessing the quality of the delivery of the facilitator in training. The Mana Ririki National Facilitators deliver the Tikanga Ririki Programme throughout Aotearoa. They know the impact that the Tikanga Ririki Parenting Programme can have. 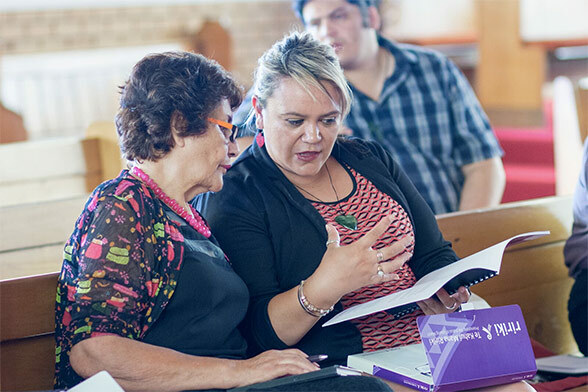 They are skilled in its delivery and are committed to ensuring that the accredited Community Facilitators can enable the building of strong Māori whānau to support and whakamana tamariki. They bring a range of expertise and experience to the sector, as well as being great communicators and teachers!